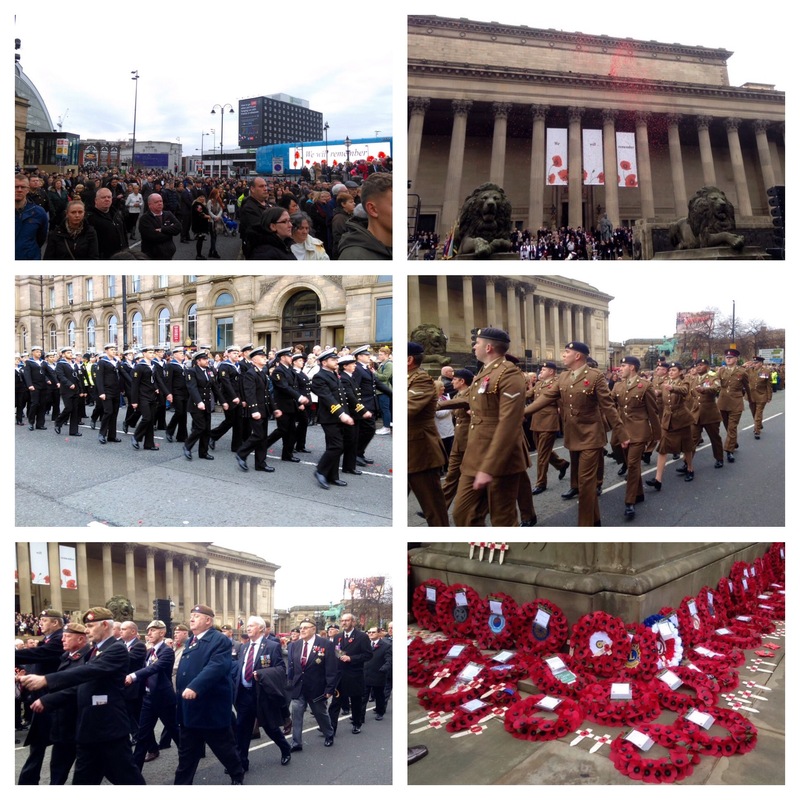 And so thousands did as Merseyside fell silent today to mark Remembrance Sunday and the 100th anniversary of the Battle of the Somme, in parades and services both large and small. People gathered at events across the city region to commemorate Britain’s fallen war heroes, as Liverpool’s main tribute took place at the Cenotaph on St George’s Plateau and was led by Lord Mayor, Cllr Roz Gladden. Carrier pigeons bearing a prayer for peace were released before the firing of the gun, to signify the start of the two minutes’ silence. 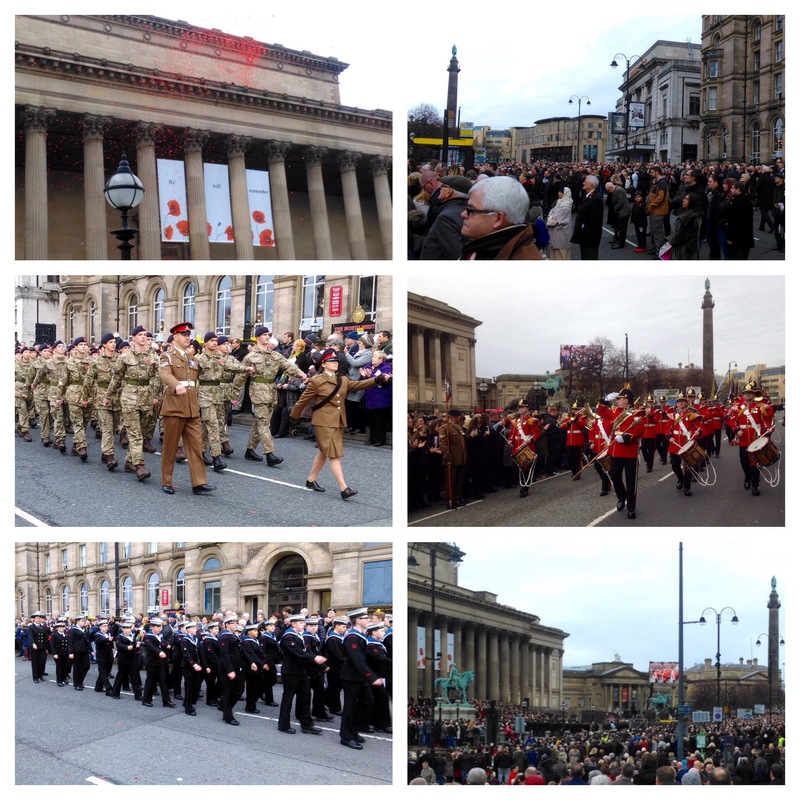 This was followed by the release of thousands of poppy petals from the roof of St George’s Hall. 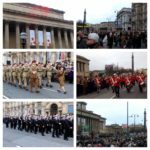 During the service, there were performances by singer Danielle Louise Thomas, St Edward’s College Senior Choir and The Band of the Duke of Lancaster’s Regiment. 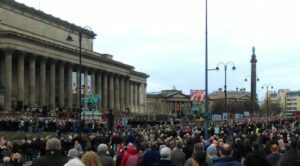 The tributes were concluded with the laying of wreaths by ex-service organisations, business representatives and Liverpool schoolchildren. 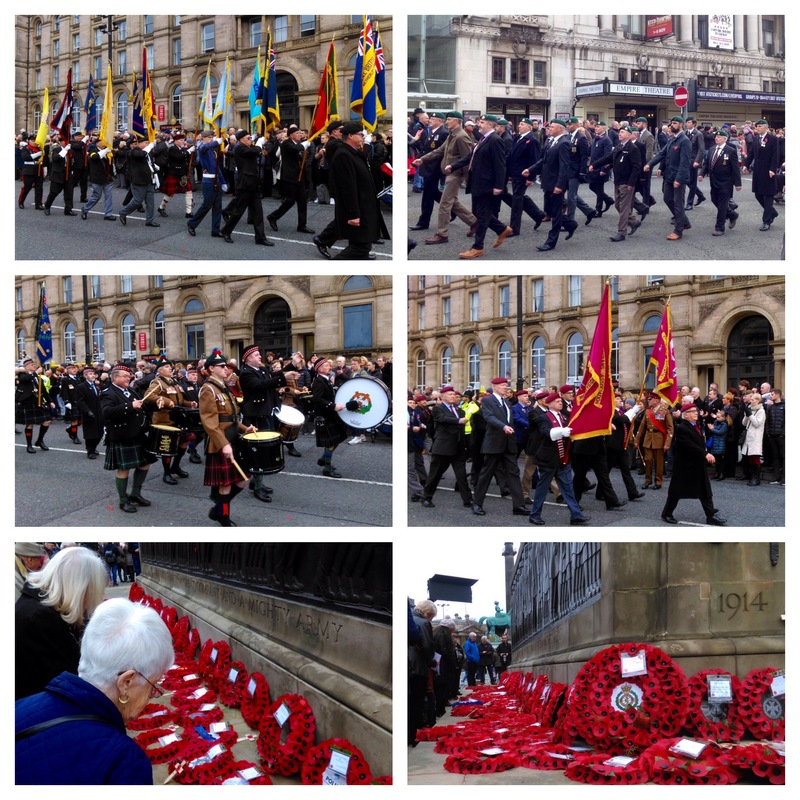 Members of the armed forces then marched through the crowds in a stirring parade. Royal Navy and Marines training safety advisor, Paul Gillespie, was sporting six medals today for his time served in Northern Ireland, Iraq and Afghanistan. He told JMU Journalism: “Remembrance Sunday means a lot to me. Although we have had two World Wars it’s also about the other conflicts that we have been in, such as Afghanistan and Iraq. 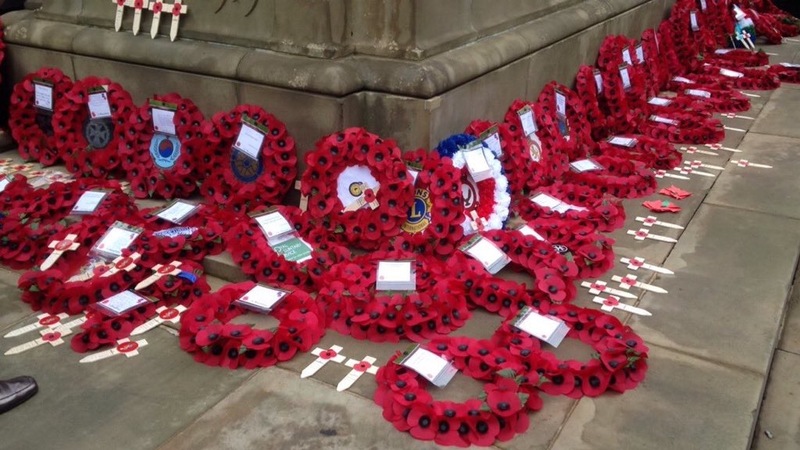 Following the parade, members of the public were invited to lay their own wreaths. Jean Kehoe, aged 60, from Liverpool, was paying tribute to members of her family today. 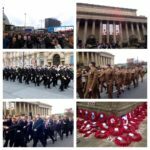 Merseyside’s services were a part of a nationwide commemoration on Remembrance Sunday, with The Queen leading the tributes in London at The Centotaph.